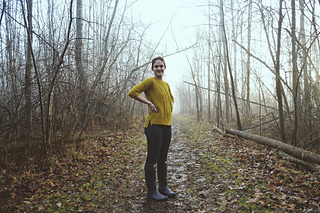 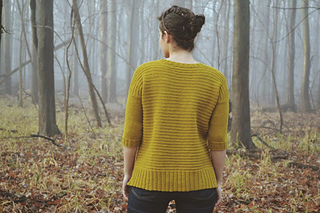 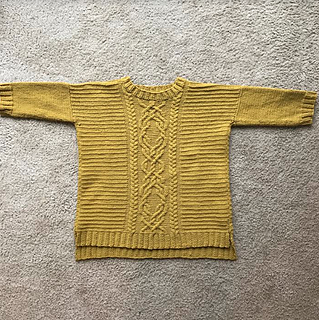 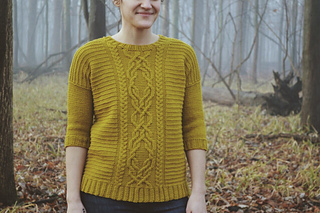 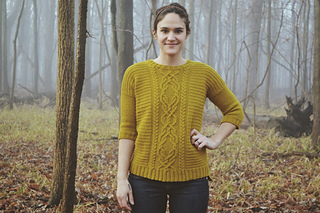 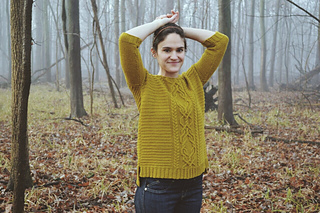 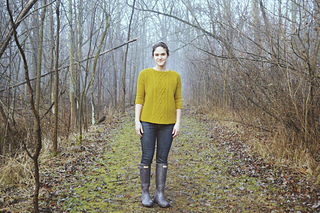 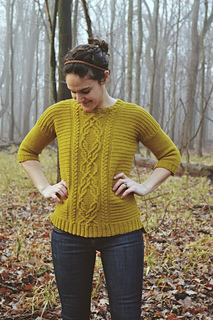 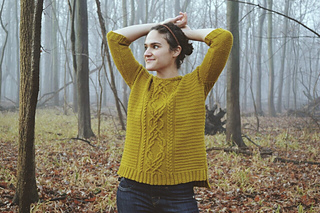 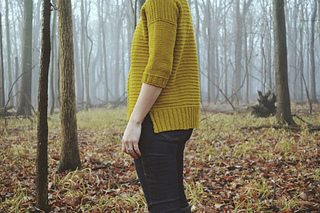 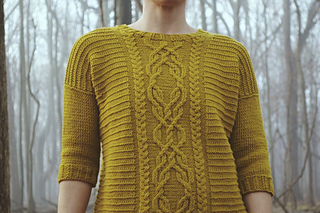 © Annie Lupton & Boho Chic Fiber Co.
Kerrytown is a 3/4 sleeve, drop shoulder sweater. 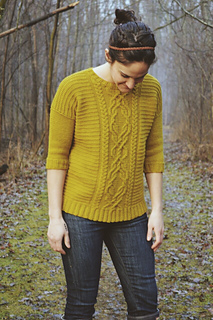 It features cables running up the center front, allover interrupted garter ridges, and an uneven split hemline. 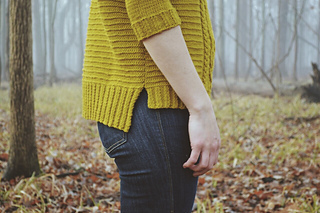 Designed to fit with several inches of positive ease in the bust and fitted sleeves it is flattering on all body types. 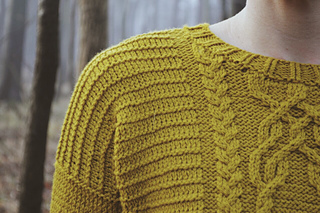 The design is knit flat in pieces and seamed at the shoulders. 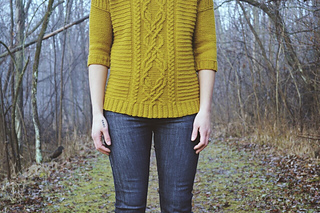 The sleeves are then picked up and worked outward from the body. 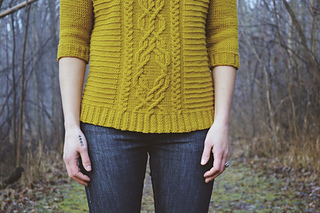 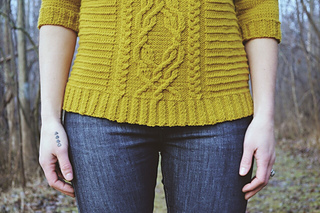 Knit up in Brooklyn Tweed Arbor yarn. 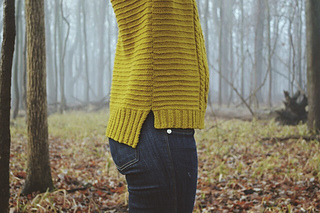 -36 (40, 44, 48, 52)”” Bust designed to fit loose in with about 4-6” positive ease, Sleeves fitted.